How To Write SEO-Friendly Blog Post, Article, Product Description – In the past days, low quality keyword-rich contents could get ranked well with less effort. In fact, following spam methods, one could be successful very easily. But now the search engines are growing smart. They intend to show only relevant results on their search engines. Concerning about the matter, the search engine sensation ‘Google’ is rolling out many algorithm updates regularly. They started to filter their search results from December, 2000 but I think the most significant year for them is 2013. Till 19 August, 2013 the ‘Panda’ and ‘Penguin’ updates were effectively rolled out to hit upon website results with low quality contents and spam backlinks. SEO (full form Search Engine Optimisation) is a game changer in Digital Marketing. Finding user intent and satisfying the website visitor should be the number one priority of publishers. Why? because it already is a number one priority of BIG GOOGLE. A few months earlier, Google reported that it has given publishers billion dollars in revenues using Google Adsense, which is just a part of Google income. Thus, to rank higher in Google, a blog post has to be User-Friendly, only then a good number of visitors can be received on a website which further leads to more revenue from the Google Adsense. But in 20th August the same year, a new Google algorithm update ‘Hummingbird’ tingled all the search results. After every 3 or 4 months, a new update reveals to filter search results. It is almost unbelievable that many popular sites lose approx 90%-100% of their traffic instantly just because of these algorithm changes. So, the question is how to do proper SEO to prevent algorithm updates of all time? When it is about blog posts, how should we optimize these? I am actually not a search engine expert but I will advise to go naturally. Here I will focus on the major areas of blog posts that should be naturally optimized to beat Google updates. To get ranking, first of all we have to concentrate on the keyword. Again the relevancy matters, the keyword has to be according to your site niche. Because Google avoids irrelevant contents as well. As an example, if you have a technology based blog, generally there would be news about tech, computer, internet, freeware etc. A technology site with news and updates of health, meditation seems really irrelevant. That is certainly going to be punished by Google. So, make sure you choose a proper niche for your blog post. And for getting relevant keyword suggestions, you could use the keyword research tools. The keyword competitiveness has to match your site authority and page rank. A high competitive keyword would work effectively on a blog with high page rank and domain authority. But if you choose a high competitive keyword for your new blog having less authority and page rank, I would say, it is such as waste of time. The best place to targeted keywords is content title. Here you should try to include your keywords with keeping the title click worthy. It should be attractive enough to force readers to click on it as well as keyword rich. So, this type of title will fulfill your two purposes. First purpose: It will be looked like a great content for readers not for search engines. Second purpose: For being keyword included, it will help you to rank for your specific keyword. And it will be helpful if we could place the keyword at the beginning of the title if possible. Title is the crucial factor and the amount of traffic you get to your blog via search engines or social media is highly dependent on your Title of the post.Make sure its well optimized and cachy to draw users attention.The ideal number of characters in a title is 70-80. It always seems as a proverb that ‘Content is King’. I also believe in it because high quality contents are earnestly welcomed by search engines and readers. Do you know that sometimes a great content without optimization could rank for competitive keywords? However, it depends on domain authority but it is really possible. That’s why we should be focused on the quality. If you could produce a content with both quality and optimization, it is sure to get ranking ASAP. Meta tags are the elements that help the search engines to know what the content is. There are two important tags ‘Meta Title and Meta Description’. There is a third one name ‘Meta Keywords’, but this one is now avoided by all search engines. The first two are must but I think, providing more information than required is not a bad practice. So, if we provide all of these threes, it will be great. Please keep in mind the Meta Title should contain less than 60 characters and Meta Description should contain less than 160 characters. Because these are the Meta character limits whose support in almost all search engines. One important thing that we have to include our keywords both in Meta Title and Meta Description. There is no limit for Meta Keywords but it is effective to have only 2 or 3. Meta Description for search is a must factor to rank well in search engines for targeted keywords.I would recommend you to use 200 characters for meta description. It is a common fault where we always fall. Some people believe that using keywords again, again and again will boost his keyword ranking. But after Google updates, these types of work will be looked like keyword stuffing or keyword spamming. In a result, the site could get a penalty or decrease in his ranking. So, we must maintain a safe keyword density and it should be between 2%-3%. Instead of using a keyword many times, we can use synonyms which are called LSI keywords. These keywords will make the content delightful to read and however, it helps to rank for many keywords. Images are one of the best SEO elements where we can safely place a keyword. In the image Alternative Tag or ALT Tag, we should include keywords and also maintaining a quality. That will make the image search engine optimized which would be a great advantage for SEO. Do check how to optimize Images properly. In SEO content, we can get the highest advantage from the heading tags like H1, H2, H3 etc. But, we should learn perfectly how to use it. Just divide your content into paragraphs and make titles with H1, H2, H3 etc. And don’t forget to include keywords in the heading. Because the search engines give the important most to the H1 and H2 heading title tags. So, the larger contents will be easy to read, the readers will be able to learn which part of the content provide which types of information. But make sure, you use only one H1 tag because there is a limit for having one H1 for one page. But you can use H2-H6 tags for multiple times. But for keeping quality, it is recommended to use the minimum number of heading tags. If having any queries related to How To Write SEO-Friendly Blog Post, Article, Product Description, please make sure to comment below. A successful blogger always leads the natural quality of writing SEO blog post. So, my advice is, first think about quality and then do SEO. Because the content will be read by human readers. So, always care about your readers not about search engines. If your content could make your readers happy, it will be enough to impress the search engines. And that is the key to beat all Google updates. So, now that you have a better understanding of what is an optimized blog post and what is not, let’s see how to ensure (before you hit the publish button), that your blog will be SEO friendly. The content should be attractive enough so that the readers can directly link their needs with your article. And purpose of the article should be clear and also write what should be the user is going to have at the end of the article. They should know the complete gist of your article in one shot so that they read the whole article with interest. Splitting a blog post into various parts, can make writing easier. It’s faster and more efficient to write 200 words to cover a specific part of the post, rather than trying to write larger sections. HINT: This is particularly useful when you don’t have the time to finish the post in one sitting. Once you have the structure ready, you can work on the different parts independently of each other without needing a lot of time to re-generate your focus and organize your thoughts. I know that some bloggers prefer to do this step first and then create the blog structure, but I found that it’s easier to come up with the title once you have a good idea of what the post will cover. If you feel that you need to work on the title first and then the blog structure, then by all means follow what is more efficient for your case. Has a character length between 55-60 so that it is shown without breaks in the SERPS. It is interesting to make users click your entry when displayed in the search engines results pages. There is only one h1 tag on the page – This is usually the same as the <title> of the post, although it doesn’t have to be the same. Whenever you write a new piece, try to ‘associate it’ with already published blog posts on your blog, by adding internal links. As I mentioned in the beginning of this post, what is not recommended is keyword stuffing. You should understand that when writing a blog post for a particular topic, you are in essence competing with hundreds of other posts that are already published about the same topic. In point 3 above, I have talked about optimizing the Title and URL of a post; it is equally important to optimize your meta description. The description tag is a summary of the post in less than 156 characters. Google may choose to show your description in the results so it has to be informative and interesting to encourage users to click your link and visit your blog. SEO (Search Engine Optimization) is one of the important factors which directly affect the ranking of any blog in search engine. Many bloggers basically don’t care about SEO; they just go with the flow like they choose search engine responsive theme and publish their article. Higher search engine raking not only depend on the blog theme, but it majorly depends on the title of the blog post. It may happen that some of your articles are popular and some are not. Analyzing the keyword is basically the first step to write SEO friendly titles. You can find the titles by yourself or many online tools are available for making this task easier and smoother. When you use any of the tools, and probably check the competitions number of results appears. 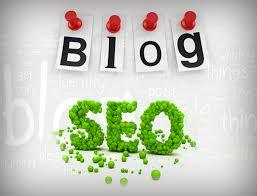 After analyzing you will come to know what should be the keyword for getting more blog traffic. You should create a proper structure like in the beginning introduction should be powerful enough and the body with full description and lastly the conclusion. The structure is something you must keep in mind after keyword selection. In most of the blogs we have seen that many paragraphs are there and every paragraph state the similar thing, you should avoid these only use paragraphs that state something new. It means every paragraph should state something new. There should be a reason for making new paragraph. You should analyze what is the main idea of each paragraph. You should be able to grasp the idea in single sentence. Heading is the most important part because they are important for readability but at the same time SEO. Heading helps any search engine to grasp the long content and thus increase your ranking. If you want individuals to find their way in your blog you can also add subheadings. Subheadings will help individuals to scan your article and make the entire structure cleaner. Make sure that the keywords which I have described in the start should be the part of subheading. Signal words help to grasp the idea of nay article in a quick shot. No can get the main idea by the word itself. Signal words should be promising so that user can get involved in the article. Let other people read your post before publishing. Discuss about the post and work based on the feedback received. Your article should be qualitative not quantitative, it means article should not be too long It might get scare users. And use the search term 3 to 6 times in your article. Adding regular content in your blog might help you to sustain your page ranking to a great extent. Below are the tips and tricks that will be beneficial for you to optimize your blog for Google and other search engines. Read them carefully and apply all of them on your blog to make your blog lovable and trust worthy for search engines. There are some settings for bloggers that they can personally do for their blogs to make their blogs more SEO friendly. Custom Robots Header Tags setting is one of them. It’ll be beneficial for you to use custom robots headers tags correctly. It’s easy to manage these settings. Read this tutorial to setup custom robots header tags for your blogspot blog now. Search engine bots like Googlebot (Web Crawling Robot of Google) needs some guidelines on how they have to crawl and index our blog. We can prevent some non-important pages labels pages from indexing in Google to protect our blog from duplicate content issues. add custom robots.txt file in blogger. If you just started your blog on blogger’s default template, then definitely you’ll not be aware with this fact that your post titles are not properly optimized for search engines. You need to do some editing in your blog template to make your post titles properly optimized. You will see a noticeable change in organic traffic of your blog after making this change. You may definitely notice relevant images between the posts on many blogs. Images not only enhance the look of our content, but it also plays an important role to optimize our blog posts. If we make effective use of images in our blog posts, then we can attain extra traffic from search engines. Many bloggers fail to optimize their internal links or even they don’t link their posts to each other internally. This is really a big mistake that we must avoid. Internal linking not only increases our blog page views but also help our posts to rank well in search engines. If you are also doing the same mistake, then you must need some tips to optimize your internal links. When we are ready with our blog optimization, then we need to submit our blog in Google’s webmaster tool. Verifying and submitting our blog in Google webmaster tool helps it to get indexed in Google super fast. It also tells about our blog issues like broken links, HTML improvements etc that we must try to resolve. We just need to verify our blog ownership and submit a sitemap. That’s it. If you have not added your blog GWT, then I recommend you to read below tutorial. If your blog takes lot of time, then visitors will go back and never come back again. It will increase bounce rate of your blog and you’ll lose your valuable traffic. Search engines give more value to fast loading blogs because they want to build best user experience. That’s why it’s very important to optimize blog loading time. I have shared some best tips that can help you to enhance your blog’s loading speed. While writing a blog post, you have the option to edit the permalink. Simply use it to edit your permalink and remove the stop words. A good idea is just to use Keywords in your permalink. (Don’t make it look spammy). While writing the blog post, you get the option in your right panel to keep it automatic permalink or manual permalink. Simply select manual permalink and edit it according to your wish. We have already shared a detailed article on Image optimization for SEO and basis of optimization your image on BlogSpot is by adding alt tag and title tags in every image. In WordPress, this could be easily achieved by using plugins but in BlogSpot, this needs to be done manually. You should insert them manually after uploading each image. Here is ShoutMeLoud popular guide on Image optimization for SEO. Meta tags are generated HTML tags used by search engines to identify the title, description, and other details of a URL. They don’t have much influence on search as they were before, but would make a slight impact on targeted keywords. Nofollow is an HTML attribute specified on hyperlinks to block search engine advantage of external links in a website. In Blogger, you can select HTML section of the post window and add rel=”nofollow” attribute just after URL to prevent search engines from crawling a particular link. Also read: How to add nofollow link attribute to any link. Blogspot is Google’s baby blogging platform, and if you do it right probably, you will be doing great regarding traffic. Always get your basic right. I hope this guide will give you a much better idea about BlogSpot SEO, though my suggestion would be when you think you are ready with Blogging and had enough experience on BlogSpot, move to WordPress. Here is a wonderful guide for WordPress, which will help you to get started.